NFL Golf Balls and More! Showing off our team pride is something all fans are passionate about. Now you can do that while still getting a high-quality golf ball to use! Show your love for your favorite team with our collection of team logo golf balls! 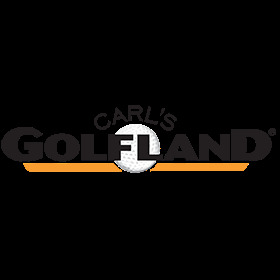 We have a great selection of team golf balls here at Carl’s Golfland. We carry a wide variety of team balls so that every fan will be able to show their support on the golf course. Every major American professional sport is represented, including NFL golf balls and MLB golf balls, along with a wide selection of teams to choose from! Or if you’re especially proud of your alma mater, we have a large collection of NCAA golf balls as well. What are you waiting for? Show your team spirit today! With our collection, you can easily show off your school pride or your devotion to your favorite pro team. We offer the brands that deliver the best golf balls around, like Titleist, Bridgestone, and Team Effort. Whether used on the driving range, during your next round, or just kept at home as a trophy, these team logo golf balls are perfect in every situation. Our NFL golf balls make perfect gifts for the fan in your life, so order today! If you have any questions about our products, our team of experts is here to help. Just give us a call at 877-412-2757 to speak to an expert.